BACKGROUND: The University of Dar es salaam is the oldest and biggest public university in Tanzania. It is situated on the western side of the city of Dar es salaam, occupying 1,625 acres on the observation hill, 13 kilometers from the city centre. It was established on 1st July 1970, through parliament act no. 12 of 1970 and all the enabling legal instruments of the constituent colleges. Prior to 1970, the university college, Dar es Salaam had started on 1st July 1961 as an affiliate college of the University of London. It had only one faculty- the faculty of Law, with 13 students. 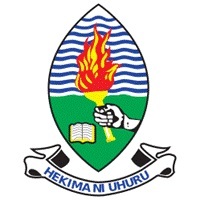 In 1963 it became a constituent college of the university of East Africa together with Makerere University College in Uganda and Nairobi University College in Kenya. Since 1961, the University of Dar es Salaam has grown in terms of student intake, academic units and academic programmes. The following applicants have been selected to join various undergraduate degree programmes for the academic year 2018/2019 at the University of Dar es Salaam. The orientation week has been rescheduled to start on 03rd November 2018 to 10th November 2018 instead of starting on 27th October 2018 as previously announced.